Black Friday is coming, and with it, one of the biggest sales days of the year for online retailers. As you’re preparing for this shopping season, make sure you’re maximizing your Google AdWords investments. These tips will help you optimize your Black Friday AdWords strategy and make sure that your marketing game is at its best. What were your biggest sellers this year? Are you releasing any cool new products? You don’t have that long to promote your Black Friday deals, so choose the keywords you know will have the best return on ad spend (ROAS). You want to be sure that customers who are looking for exactly the item you’re offering are able to find you easily. Plus, by showcasing your most popular products, you’ll also be able to bring customers in to check out the other deals you’re offering. Are you offering a spectacular deal to help bring customers through your virtual door for Black Friday sales? Include those deals in your AdWords ads. Make separate versions for each Ad Group so that you can be as specific as possible. The more relevant the offer is to the shopper’s query, the more likely they are to click on your ad. For example, say one of your Black Friday deals is 25% off women’s clothing. Instead of just creating one version of your ad that says, “Black Friday Deal: 25% Off Women’s Clothing,” call out specific items based on the keywords in the ad group. When a shopper searches for “Black Friday discounts on high heels” and sees your ad that says, “25% Off Heels for Black Friday,” it will be more relevant to them than just a generic discount for women’s clothing. Each click on Black Friday will likely be more expensive than it is at other times of the year. That makes it critical to think about your budget when you’re designing your marketing plans. Ad extensions enable retailers to give shoppers helpful information at a glance. 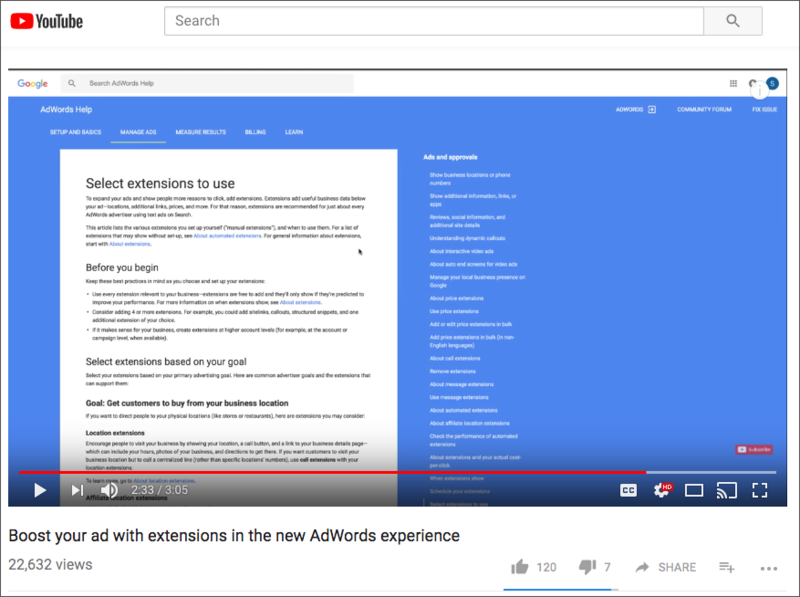 Plus, ad extensions make your Black Friday AdWords ads longer, which pushes your competition farther down the page. You should certainly bid on broader terms related to your products, but long-tail keywords can help you attract shoppers who are closer to making a purchase decision. Creating a Black Friday AdWords campaign is a great way to drive customers to your site. By following these simple tips, you can maximize your ROAS and increase your Black Friday revenue.